The Centre on Thursday told the Supreme Court that the deadline for making Aadhaar mandatory to avail benefits of more than 130 schemes would be extended to March 31 next year. 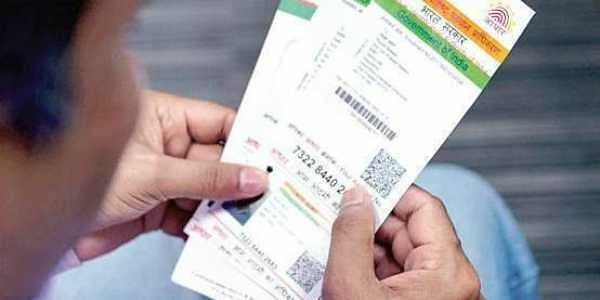 NEW DELHI: The Centre on Thursday told the Supreme Court that the deadline for making Aadhaar mandatory to avail benefits of more than 130 schemes would be extended to March 31 next year. India’s top legal officer KK Venugopal told the bench headed by Chief Justice Dipak Misra, “The government will issue a notification to this effect on Friday (Dec 8).” Venugopal, however, clarified that the deadline for linking mobile phone numbers to Aadhaar would remain Feb 6, 2018 as ordered by the court in another PIL on the ground that it was needed for national security. The extension would apply for over 130 government subsidies, benefits and services. The deadline for Aadhaar linkage for these services is currently Dec 31, 2017. On this, the CJI said a Constitution Bench would be set up next week to hear petitions challenging the Aadhaar scheme and decide if interim orders need to be passed. A nine-judge Constitution Bench declared on August 24 that the right to privacy is a fundamental right and said individual cases challenging the Aadhaar Act would be decided separately by a five-judge Constitution Bench. Senior advocate Shyam Divan, representing petitioners, urged the court to ensure that no coercive action was taken against those not submitting Aadhaar details.